Those amazing people over at Pi Towers, (the Cambridge based headquarters for the highly successful Raspberry Pi project) offer world-class CPD during the Summer holidays. I ventured down to Cambridge to attend the High Altitude Ballooning (HAB) course . 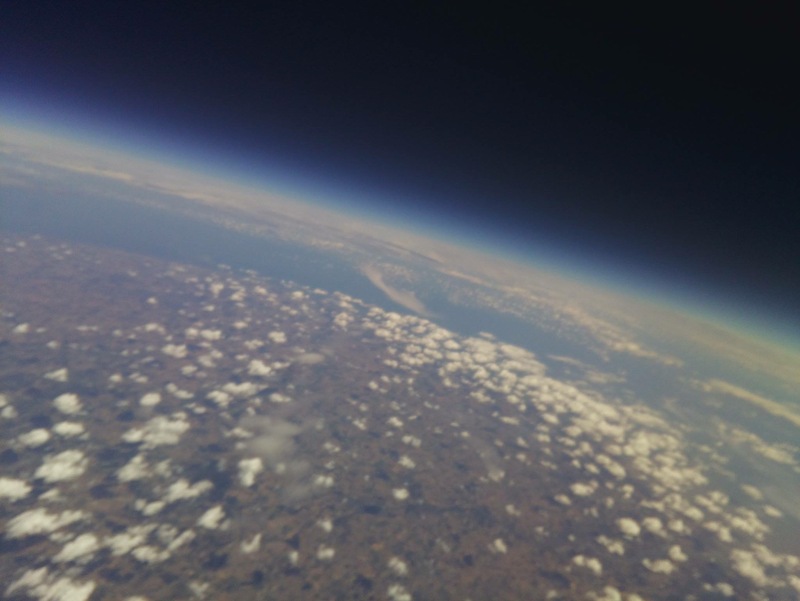 The CPD mission was to send up a raspberry Pi via means of a balloon up into the stratosphere. On the first day of the three-day course, the course content was introduced and we began to prepare the kit and plan the flight. This required us to put together the payload (the package being sent upwards) and to prepare the tracking devices and to plan the flight itself using a number of different tools. Creating the payload package, a RPi and GPS tracker. This small unit once completed with the antenna, batteries and a camera, are packaged into a polystyrene box and is sealed. The emphasis here is keeping the payload weight to an absolute minimum. You can of course be creative with the payload and add decoration etc. It is also a good idea to add-on a visible contact telephone number or address in case you cannot recover your package after flight. Flights do go missing and some of them have been returned to their owners. Next on the agenda was to set up the receivers and trackers. Inside one of the tracking devices. There are a number of flight planning tools, ranging from iPhone apps, to websites that will show you the current wind directions at altitude and will estimate the landing point of your package. A team on the course a year before lost their package in the North Sea. Final weight calculations and with a keen eye on the weather we had reached the end of day one. The following morning we made our way to a launch location, we had submitted a Notice to Airman (NOTAM) which is a notice filed with an aviation authority to alert aircraft pilots of potential hazards along a flight route or at a location that could affect the safety of the flight. We prepped the launch, which is quite technical. A simple mistake can result in a failed launch such as forgetting to attach the parachute for when the balloon finally bursts at altitude. The weather balloon was filled with a lighter than air gas, such as Helium and we waited for the winds to settle so we could release our payload. We launched and awaited the first images to come through on the tracking device. An image from the Team Alto package. Another image from the Team Alto flight. We managed to capture many images of both the ascent and descent. Our payload had returned to terra firma and after a few hours searching, we discovered that our payload had landed in a children’s playground. Two young girls had picked up the payload and decided to take it home. We managed to track it to their back garden and kindly asked for it back. Watch the following video for a full breakdown of the Skycademy experience from a course from the previous year. For more information click here to visit the Skycademy website and keep your eyes peeled for the 2018 course.